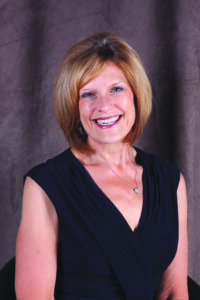 Colleen Richeson Maxey is Vice President of Sales and Marketing for the Jack Richeson Co., Inc in Kimberly WI. While not an artist, Colleen grew up in the Art Materials end of the business. Her dad Jack Richeson started sweeping floors at 16 years of age in the City of Chicago for Sheldon’s Art Materials. As he moved up in the ranks at Sheldon’s and eventually had a family, he would bring young Colleen to the store on the weekend. There are many fond memories of artists coming and going in the store as Colleen wandered the aisles fascinated with the explosion of color around her. 22 years ago, after traveling the world as a military wife, during her husband’s SO. California assignment Colleen joined the family business as an Independent Sales Rep for California. Eventually she moved her family to the Kimberly Corporate office where Colleen started in sales learning the business from the bottom up and eventually assumed the role of VP of Sales and Marketing. Today the Jack Richeson Co., Inc proudly employs 9 working family members including Colleen’s daughter Jackie…the Company’s 3rd generation.